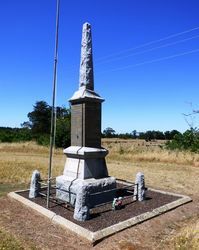 Funding was received under the ANZAC Centenary Grants Program to restore the memorial and relocate it to the Tahara Hall & Recreation Reserve. 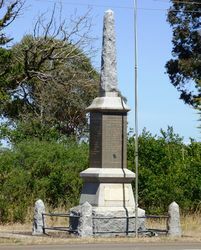 Tahara War Memorial was unveiled in November 1919 by the Honourable Hugh Campbell in front of a large crowd. The memorial honoured the 38 men and 1 nurse who had fought in World War One. Portland Guardian, 20th November 1919. 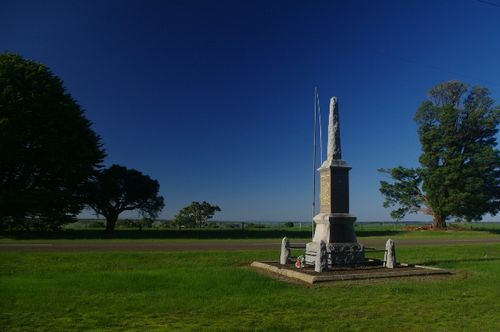 Note : The War Memorial contains a plaque relating to the History of Tahara Township.